At Rosedale House Floral Designs, in Horncastle we have been working to develop a luxury and stunning range of Christmas flowers. 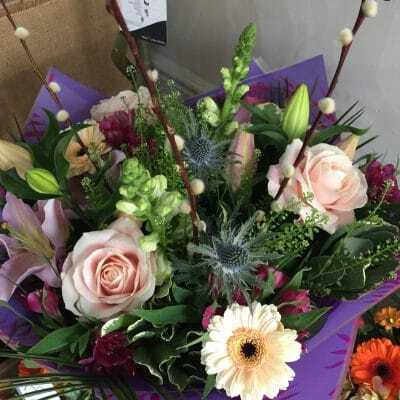 These include floral bouquets of seasonal flowers either as hand tied bouquets, flat bouquets or aqua packed bouquets presented in one of our fabulous floral boxes. Other floral Christmas gifts include our bespoke Christmas crate with seasonal flowers, foliage and candles – this makes the perfect gift. We will also have a number of seasonal and festive planted arrangements available to purchase during festive season. 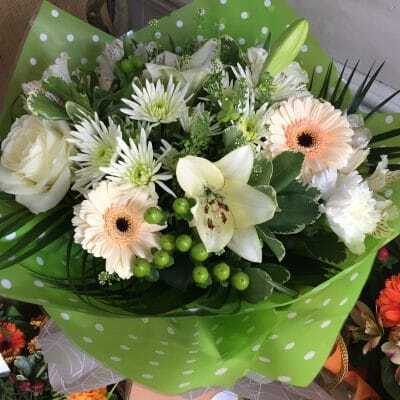 Please take the some time to read about our stunning bouquets and arrangements, our descriptions are carefully written to provide you detailed information to enable you to select the appropriate floral gift this Christmas. Christmas orders now been taken! !